Are you on a mission to make stunning bottle labels? Custom bottle labels are absolutely crucial whether you’re making drinks, beauty products or any other type of liquid products. In fact, most people will decide whether they like your bottled product or gift from the label – before they even get to taste or try what’s inside! This is true whether you’re making personalised bottle labels for your business, or making special gifts. You might need beer bottle labels, or personalised wine labels for wedding favours, for example, or perhaps you’re running a business making moisturisers, cleansers and shampoos, etc. 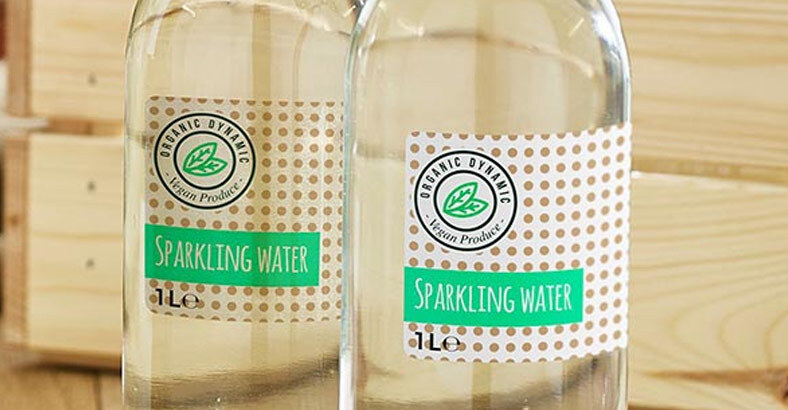 In this article we’ve put together some questions you need to ask about bottle label printing to make sure you get the right service, and we’ve shown how we can help here at Avery WePrint. We’ve also given some guidance on applying labels. If you’d like to know more about our services for printing custom bottle labels, please go to the Avery WePrint Bottle Labels page. Not so long ago, your only choices would have been to order labels on an industrial scale or make DIY bottle stickers on you printer! Fortunately, those days are long gone and there are now plenty of companies providing personalised bottle labels. 1. Which material is right for my bottle labels? Paper is not your only option when it comes to label materials. Whether you’re printing labels for glass bottles or plastic containers, you might find that other materials could be more practical and give a more professional look. The practical aspects to think about include how your labels are transported and stored. How water resistant and tough do your labels need to be? Once on display, do you want people to pick up your bottles and feel the label? That will require visual, tactile and durable qualities. Avery WePrint give you six label materials to choose from: Paper (natural, matt or gloss finish), Plastic, Textured Paper, Brown Kraft Paper, Clear and Waterproof. 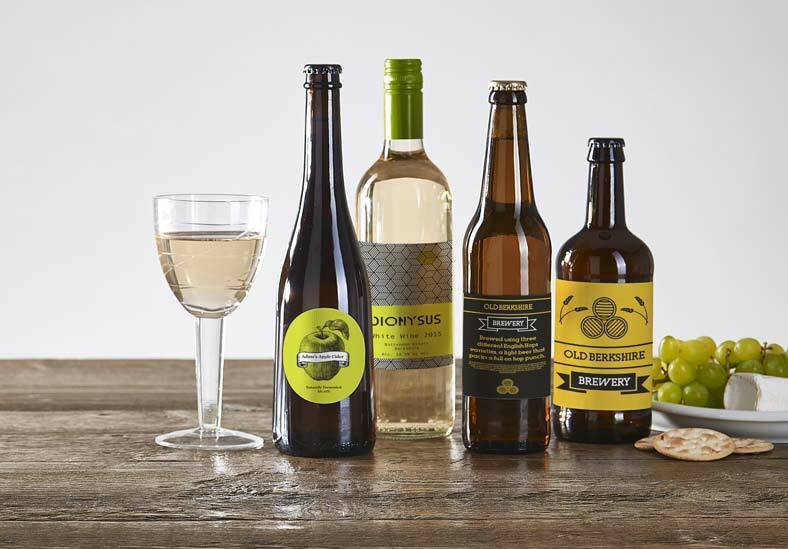 Each offers a distinct look and practical advantages – see our Bottle Labels page. 2. How do I choose the right label size and shape for my bottles? To get the right size, you not only need know the size of your bottle, but also the amount of information you need to include, and then look at the size of labels available. We recommend using a tailor’s tape measure to carefully measure the rounded surface of a bottle where the label (or labels) will go. If you’re selling drinks or beauty products to the public, you’ll probably need a second label on the back of the bottle to include all the information required by law. Don’t forget that the area where the label is going needs to have straight sides (not tapered) without any bumps or ridges. Choosing an interesting label shape is another way to make an impression with your bottle labels. At Avery WePrint, we provide a large range of label sizes. We find that the label shapes best suited to bottles tend to be rectangular, oval, plaque or straight oval in the ‘portrait’ orientation. 3. How easy is it to design my own bottle labels? An online design tool can help you see exactly how your design will look on the label and allow to you experiment with different shapes and sizes. It will also guide you if you want your label printed right to the edge, and show you where the ‘safe zone’ is to ensure important design features don’t go over the edge. If you want to use a ready-made design, check out the bottle label templates available. You’ll also need a good selection of fonts and an easy way to add text, images, colours and other elements to your label design. The Avery WePrint online design tool offers ready-made label templates as well as the option to start with a blank canvas, adding your own images, shapes and text. It also lets you preview your label on a bottle in 3D. 4. How many bottle labels must I order? Whether you’re operating on a small or large scale, it’s always helpful to be able to order just a sheet or two to experiment with different label designs and materials. When you want to scale up and order larger quantities, you should also be able to get a good discount. This is why at Avery WePrint we have very small minimum orders with great discounts of up to 72% on large orders. 5. How durable are the labels? Bottle labels that are faded, peeling or scuffed are never going to look appealing or get a good reaction. But this can happen all too easily if labels are not sufficiently durable to survive handling, transportation or being kept or displayed in less than perfect conditions. You may not be able to control how your bottles are transported and stored, but you can make sure you choose labels that are durable. Also check out the options for water resistant or waterproof labels. If you’re looking for labels for glass bottles containing drinks, think about how they will be used. Will they spend hours in tubs or buckets of ice or water? Will they be kept at low temperatures or be put through hot washes? Plastic bottles, on the other hand, might be kept in wet conditions in a bathroom. We’ve invested heavily in label materials, printing processes and adhesive technology at Avery WePrint to make sure your bottle labels are up to these challenges! Our plastic, textured paper and clear label materials have water resistant properties. The waterproof label material is specially designed to meet the highest international standards for being submerged at and exposure to extreme temperatures. 6. Will the finished bottle labels look like my design? If you get sample labels printed, you can make sure the colours and details of the finished labels are true to your original design. Colours should be vibrant and details need to be sharp. We use the latest digital photo printing technology at Avery WePrint to ensure accuracy. We also use a special technique on clear plastic labels which involves white underprinting to make sure your design really stands out. It’s not difficult to place your labels correctly and uniformly. But be prepared to practice placing labels onto the curved surface of a bottle. There are laws governing the labelling of products that are sold to the public, whether alcoholic drinks, soft drinks, beauty products, toiletries and even pet products. Please make sure you understand the requirements of the relevant labelling laws. Need more information on Bottle Labels?